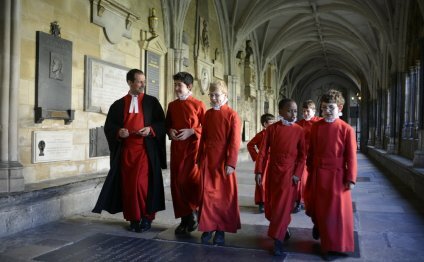 Westminster Abbey Choir School exists solely to educate and care for the 30 or so boys who sing as choristers in the Abbey Choir. The purpose-built school, set in the heart of the Abbey precincts, offers a complete preparatory school boarding education but tailored precisely to the needs of choristers. Academic lessons, musical tuition, sports, activities and games are carefully arranged around the boys’ various singing commitments to offer a unique educational experience. Boys usually join the choir school at the age of eight in Y4. At this stage we are looking above all for musical potential in boys whom we believe will both thrive as choristers and also develop as musicians in a richly stimulating environment. If you are interested in finding out more about the opportunities of choristership or about life at Westminster Abbey Choir School, please telephone the school for more information or to make an appointment to visit.